The statements in the letter had been written before his suicide. 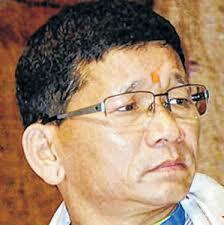 The former chief minister, Kalikho pul’s suicide has exposed many sensational matters. The 60 pages suicide notes Kalikho pul had written a day before of his self-hanging in Itanagar on August 9th, 2016. Pul has made serious allegations in this letter against the leaders of state; namely, Pema Khandu, present chief minister and Chowna Mein, deputy chief minister, including the incumbent on legal posts. Pul had been the Chief Minister in Arunachal Pradesh for 4 months and he had to step down after the Supreme Court order. The apex court had dubbed removal of Tuki’s government illegal. Pul who had begun his career working as a gateman in a local school committed suicide allegedly over this court order after a month. The suicide notes recovered from the spot was in police possession, and this had made mystery of his write-up. However these allegations are still awaited to be scrutinised.